คุณอนันต์ ชอบเดินทางท่องเที่ยวไปตามสถานที่ต่างๆ ชอบถ่ายภาพ เก็บเกี่ยวประสพการณ์มาปรับใช้ในการทำงานด้านบริการตำแหน่งทางสังคม คุณอนันต์ เป็นกรรมการบริหารและประชาสัมพันธ์ สมาคมธุรกิจการท่องเที่ยวจังหวัดกระบี่ เป็นประธานเครือข่าย อป.มช. สื่อสารมวลชนจังหวัดกระบี่ และอีกหลายตำแหน่งคุณอนันต์ ถือบัตรมัคคุเทศก์ เลขที่ 38-0999. (Mr.Anan Kheawchan) is the Managing Director of Krabi U&I Travel.The man behind krabiInformation.com. He was born in Krabi Town, He knows everything there is to know about this area of Thailand, He has been working in the oilfield company for several years, and back to his home town for working in Tourism industry and 5 star Hotel & Resort experience. he has trekked, traveled and relaxed on beaches and Island in the name of research, Also his Guide license certify with his the standard Tourist Guide Aword by T.A.T. Number 38-0999. (Mrs. Phannicha Boonnakorn) is the Marketing Manager and Co-ordinator. (Bangkok Office. )She has worked in the Real-Estate in Bangkok and hotel-industry the past 15 years. She was born in Pattaya, but has lived in Bangkok for 25 years. English is excellent and she is a very active person and ready to assist you at any time.and hotel-industry the past 15 years. She was born in Pattaya, but has lived in Bangkok for 25 years. English is excellent and she is a very active person and ready to assist you at any time. (Miss Phornpana Petarwut) Operation Manager (Krabi, Head office)She was born in Suratthani, She got bachelor’s degree in Tourism Industry and worked in Phi Phi Island and Aonang Beach Krabi for several years, During those years she had the opportunity to travel to many countries in the world. Even though she has visited different continents she believes there is no place like home. As a proud Krabi she enjoys exploring the different flavors, cultures and beauty of her country and she is passionate about showing people the places she loves. (Miss Jittaya Chotiwanawan) Reservation Supervisor Moi is our Reservation. 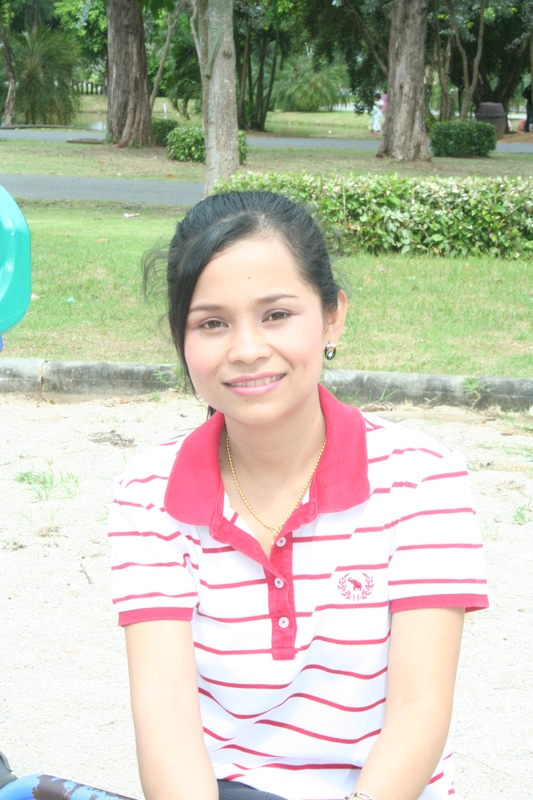 She was born in Hadyai (Songkhla), but has been working in Krabi International Airport for the last 2 years. She got Bachelor of Arts degree in Tourism major. She is thrilled to introduce travelers to the beauty and distinctiveness of Krabi province as well as connect these people and villages to the world. (Mr. Warakorn Chamnanbhumi)Mo Mo is our Van Driver and responsible for car schedule and city tours. He expert about Krabi destination and Southern of Thailand. He has been working in the traveling industry since 1992. English is verygood and he is a very polite and active person and ready to assist you at any time. (Mr. Chusak Chursa-nga)Bang sak is our Car Driver. He knows everything about Krabi hotel and attraction. He has been working in the traveling industry since 1990. English is excellent and he is a very polite and active person and ready to assist you at any time. We can also arranged a big group . That showed you how great we did and would do for you.Your Group.